Waste Pro (Longwood, FL) is proposing to build a multi-million dollar regional materials recovery facility in Ocala, FL to support its single-stream recycling program there. Waste Pro's marketing director Brad Avery said the company is looking at possible sites that could accommodate a 30,000- to 40,000-square-foot facility. Waste Pro built a facility about that size in the Sarasota / Bradenton market. "The company would like to start breaking ground in the next 30 to 60 days," Avery said about a facility in Ocala. 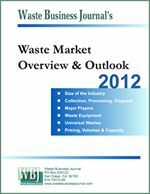 Waste Pro provides waste services from 75 locations in Alabama, Florida, Georgia, South and North Carolina, Louisiana and Mississippi. 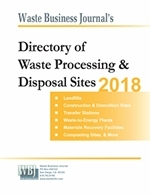 Waste Pro holds 115 exclusive City and County franchises and is currently contracted to provide solid waste and recycling services to over 1.5 million residential customers and over 35,000 businesses. To learn more, visit: www.wasteprousa.com.